The idea of raising our own backyard bees, watching them buzz around the garden and collecting the honey can sound very romantic and even a bit adventurous! But diving into this sort of thing is not something to take lightly. I’ve interviews several backyard beekeepers both for our national PBS garden TV show and for this podcast. And one thing I know for sure…. Beekeeping can be one of the best experiences of your life…but you shouldn’t dive in until you are ready. So in this episode, I bring on experienced beekeeper Karla Delong of Mountain Feed & Farm Supply to spill the beans on what it REALLY takes to be a beekeeper – the good, the bad and the exciting! What I love about this episode is that even if you NEVER want to have bees of your own, you will find the discussion interesting. And it will give you a better appreciation of the importance of bees to our everyday lives…and the importance of beekeepers. Both bees and their keepers are the unsung heroes in the food world! Is it possible to be an “organic” beekeeper? Is it okay to keep bees in the city? Can bees be raised on a balcony? This was a longer episode. But it is SO packed with solid and interesting bee information, I think you will really get a lot out of it. This was a return trip on the Living Homegrown Podcast for Karla. She first appeared on Episode #50 where she shared tips for making homemade vinegar with and without a “mother”. 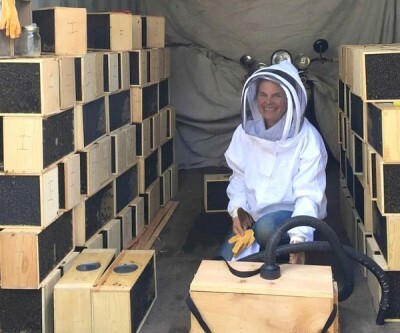 When I first interviewed her for that episode, we talked (off the record) about her passion for beekeeping and I promised to have her back to dive into that topic. 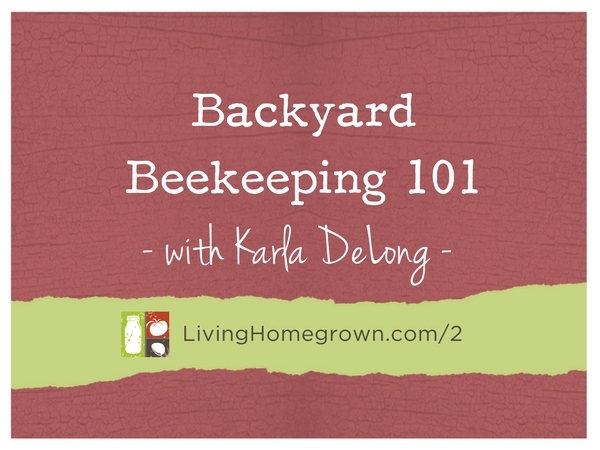 And that is what this episode is all about – Beekeeping 101. Karla is one of the awesome instructors at Mountain Feed & Farm Supply – a cool homesteading supply & nursery just north of Santa Cruz in California. Karla teaches several different classes at Mountain Feed, but she has a special place in her heart for the bee series of classes she teaches. Aside from being a beekeeper, a mentor to many local beekeepers and the president of the local beekeeping guild, Karla is also a certified natural chef and a preservation expert. She homesteads, grows a lot of her own food and raises other livestock besides her hardworking bees in the Santa Cruz mountains.